Preserving our historic resources provides important insight into the lives of earlier generations and helps us understand the character of Dublin today. Other archeological resources date back to prehistoric times, providing clues about the migration and settlement of early civilizations in the Columbus area. Historic structures still standing in Dublin present evidence of daily life, as well as preserve information about construction techniques and architectural styles spanning several periods of history – the oldest dating back to the early 1820s. Unlike many natural resources which may be restored over time, once lost, historic resources cannot be resurrected. While local, state and federal laws offer some degree of protection, the local community must ultimately commit to historic preservation efforts. This chapter identifies ways to ensure that Dublin’s historic resources will be preserved for the enrichment of future generations. The Ohio Historic Preservation Office maintains an inventory of the state’s archaeological resources. Since the late 19th century, archeological excavations in the Dublin area have uncovered several significant finds. Prehistoric archaeological materials recovered through excavation indicate the Dublin area was occupied by the Palaeo-Indian culture as far back as 11,000 B.C. The Palaeo-Indians, a highly mobile hunting society, were the first known prehistoric group to occupy the Ohio area. Two campsites attributed to a Palaeo or Archaic culture were excavated in the late 1970s near the Scioto River within Dublin (Site C) generally at the present day Amberleigh subdivision. Another possible site of Palaeo occupation has been excavated along the North Fork Indian Run, north of I-270 near present day Dublin Coffman High School and the Cardinal Health Headquarters (Site I). Other prehistoric materials recovered indicate that the area was occupied during the Early Archaic (9000 B.C.to 6000 B.C. ), Middle Archaic (6000 B.C. to 3000 B.C.) and Late Archaic (3000 B.C. to 900 B.C.) periods. Like the Palaeo-Indians, Early Archaic inhabitants of the area were highly mobile. However, these people began to develop more established settlements as they started to rely on seasonal hunting and some seasonal plant foods. The Middle Archaic period saw a continued trend toward more permanent settlements as a broader range of food sources became available. The Late Archaic period saw continued development of permanent settlements, including an increase in regional ceremonial cultures, as evidenced by formalized burial practices. Numerous excavations throughout the Dublin area have uncovered materials from these three Archaic periods, and several of these sites are noteworthy. Evidence of a possible Late Archaic quarry site and chipping station has been found along the North Fork Indian Run (Site I). Several excavations in the Brand Road area, east of Muirfield Drive near the Dublin Municipal Pool North, have uncovered several projectile points and tool fragments dating to the Middle or Late Archaic periods (Site H). Evidence of several campsites along the Scioto River dating to the Late Archaic period was discovered in the late 1970s (Site C), and several excavations in the Sawmill Road area north of I-270 have uncovered various materials dating to the Archaic periods (Sites A, B, D and E). Evidence of settlement during the Middle and Late Woodland periods (100 B.C. to A.D. 500) is also present within the study area. These periods are illustrated most notably in Ohio by the Hopewell culture. The Hopewell civilization grew out of the Adena culture, which dominated the Early Woodland (900 B.C. to 100 B.C.) period. The Hopewell people were highly ceremonial and developed expansive trade networks to acquire the raw materials for many of their ceremonial objects. The majority of archaeological discoveries relating to the Hopewell culture are ceremonial earthworks and mounds. There is little evidence of their settlements or means of subsistence. It is assumed that they relied primarily on hunting with limited cultivation of plants such as corn for nutrition. The Hopewell culture declined during the Late Woodland period, the cause is unknown. Excavations along the Scioto River indicate the area was well occupied during the Woodland periods. The most significant evidence of the Hopewell culture locally is the site known as the Holder-Wright Group Works Mounds (Site G) near the northeast corner of Bright Road and Riverside Drive. This site contains earthwork circles and burial mounds that date back to between 300 B.C. and A.D. 500. The earthwork circles and mounds were ceremonial grounds used, in part, as burial sites. The Holder-Wright site was initially excavated in 1887 and has been studied on several occasions. Though the integrity of the site has been compromised by cultivation and grading in the area, the archaeological significance remains largely intact. The Holder-Wright Group Works Mounds are listed on the National Register of Historic Places. In 2010, the City of Dublin purchased 21 acres of land south of Bright Road, including portions of this site. The City has also prepared a master plan for preservation of the entire 47-acre Holder-Wright farmstead and earthworks. The Krumm Mound (Site G), of which less is known, lies in close proximity to the Holder-Wright site. The mound appears to date from the Hopewell period, but is unrelated to the Holder-Wright Works. Possibly related to the Krumm Mound is the McGuerer Cemetery (Site J), excavated in 1921 after a portion of the site had been used as a gravel pit. While the integrity of the find was severely compromised by this activity, skeletal remains of at least 31 individuals were found within one burial pit, one of which was the intact skeletal remains of a prehistoric person. Archaeological excavations in late 1994 and early 1995 in numerous areas near State Route 161 (Site K) have yielded prehistoric materials with potentially great historic significance. At least one site was found to be eligible for listing on the National Register of Historic Places, and more may be eligible. The quantity and quality of prehistoric materials recovered have identified a quarry and work settlement dating to the Late Archaic and Middle Woodland periods. Additional excavation work will help fully understand the archaeological significance of the material in this area. Following habitation by the Adena and Hopewell, later tribes such as the Delaware, Mingo, Seneca, Shawnee and Wyandotte moved into the area, and numerous archaeological excavations have revealed cultural artifacts related to this migration. 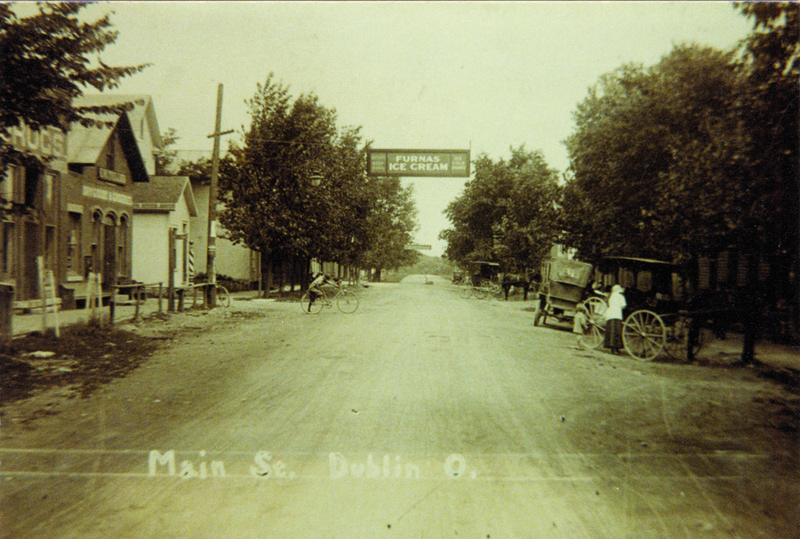 European-Americans began to settle in the area during the early 19th century, eventually resulting in the establishment of the Village of Dublin in 1810. Several excavations in 1993, in the area of I-270 between Tuttle Crossing Boulevard and Hayden Run Road, uncovered historical remnants of European-American origin, dating circa 1850 (Site M). Included in this were kitchen and architectural artifacts and the remnants of a farmstead (possibly the Turner farmstead) excavated in 1994. Much of a community’s character is derived from its historic architecture and built heritage. Many of Dublin’s historic buildings, along with several unique dry-laid stone walls and cemetery vaults, warrant some degree of protection. The oldest surviving structure is a log cabin built in 1803 by Ludwig Sells (6028 Dublin Road). The cabin stands on the property of the historic William Sells House, a home constructed in 1840 of large cut stone. 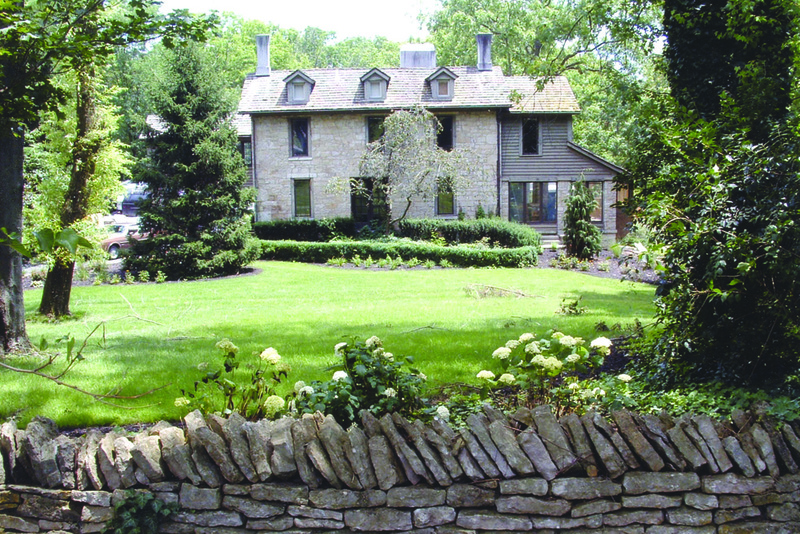 Several of Dublin’s historic homes and many of the stone walls are attributed to the Sells’ family, including walls in Historic Dublin and on properties at 6729 Dublin Road, 6028 Dublin Road and 4586 Hayden Run Road. Most of Dublin’s historic structures are concentrated in Historic Dublin, the city’s original settlement. 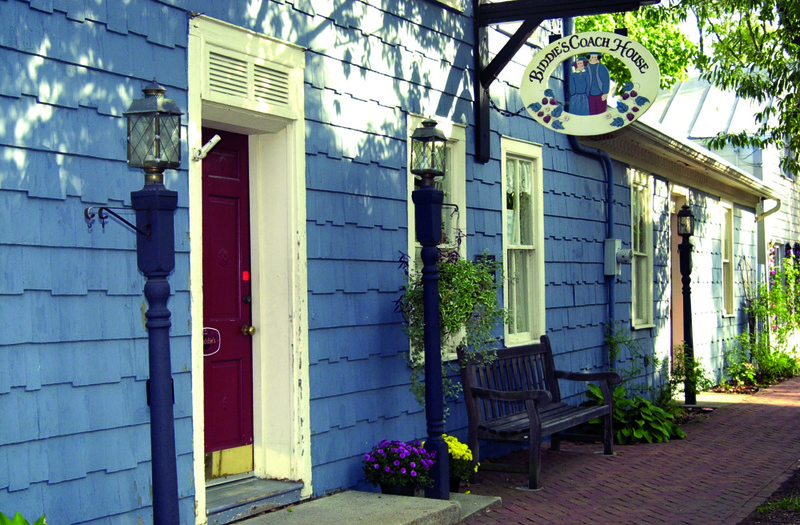 Approximately 20 structures, mostly residences and small commercial buildings of the original settlement, lie in the 6 to 126 South High Street Historic District. A variety of architectural styles are represented on High Street, from simple vernacular stone houses to more elaborate Federal-style, Italianate and Greek Revival buildings that served as the homes and businesses of some of Dublin’s more prominent founders. Several of Historic Dublin’s original homes have since been converted to retail shops and restaurants. Zenas Hutchinson, Dublin’s first mayor, operated the Hutchinson Tavern at 6 South High Street, a two-story stone, Federal-style stick-built structure dating to 1832. The use of this structure has not changed significantly over the years; today it operates as a small retail store and restaurant. Similarly, the two-story, Federal-style stick-built structure at 76 to 78 South High Street was once a hotel, built in 1830 by Holcomb Tuller. It also houses a restaurant and commercial uses. Most restorations have demonstrated sensitivity to their historic value and an appreciation for original details. In addition to Historic Dublin, several historic farmsteads, former general stores and churches are located throughout the City and the wider planning area. Most of these properties date back to the middle of the 19th century and are located along early roads such as Hayden Run Road, Rings Road and Brand Road. Many properties are within the Washington Township Multiple Resource Area (WTMRA), a National Register of Historic Places designation that groups historic structures by a common theme. 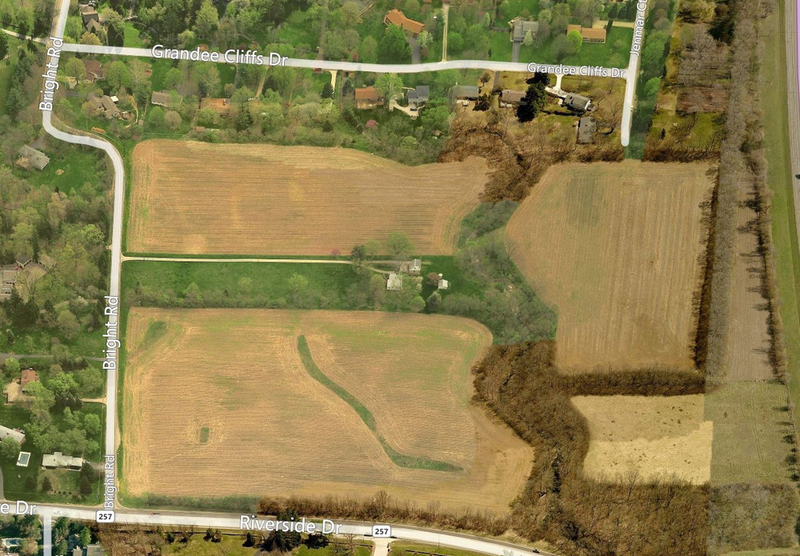 In this case, the Resource Area is the original settlement of Washington Township (Historic Dublin).